It's Friday night and we are searching for something to watch on Netflix. Fancying a horror film, we scour through films and stumble upon The Open House. Suggested to me as I watched 13 Reason's Why and they share the same main actor Dylan Minnette, it's plot intrigued us and the trailer terrified us. Based on a teenage boy (Logan) and his mother (Naomi - played by Piercey Dalton), who after a tragic accident in the family, find themselves staying at her sisters house which is up for sale. During their stay, the estate agents organise an open house, making the mother and son go out for the day whilst potential buyers wander around. When the pair come back however, Logan feels as if someone hasn't left; as he hears noises around the house and objects mysteriously move around. The town the house is in creates an undeniable eerie atmosphere – set high in the mountains, with a creepy everyone-knows-everybody small town vibe. There are a few quirky supporting characters, from a crazy woman who turns out to be a neighbour that keeps popping up, to a friendly yet mysterious man who befriends Naomi. That's all I can really say without giving tooooo much away and without spoiling the entire plot. I will say though, that we were surprised at how scary the film is, from the spine-tingling background music, to the terrifying imagery and hair-raising finale. So many scenes in the film have you on the edge of your seat, unsure of what will happen next. It has a very low rating on IMDB (3.3*) and Rotten Tomatoes (13%), and the only reason I can really think that is, is because the ending is a little incomplete. I liked it, but thought they could have made it far more interesting and thrown in a good twist. I also thought that at times the film was a little slow...but for just over 90 minutes, I thought they mostly filled the time well, with scenes that are believable and not unrealistic like many horror films tend to be. I would and have recommended this to others, for those who like thrillers and horrors. There is one scene in particular, that is incredibly bloodcurdling and makes you want to jump into the screen and warn Naomi (oooh mysterious). A good little film through and through, I would definitely watch it again. 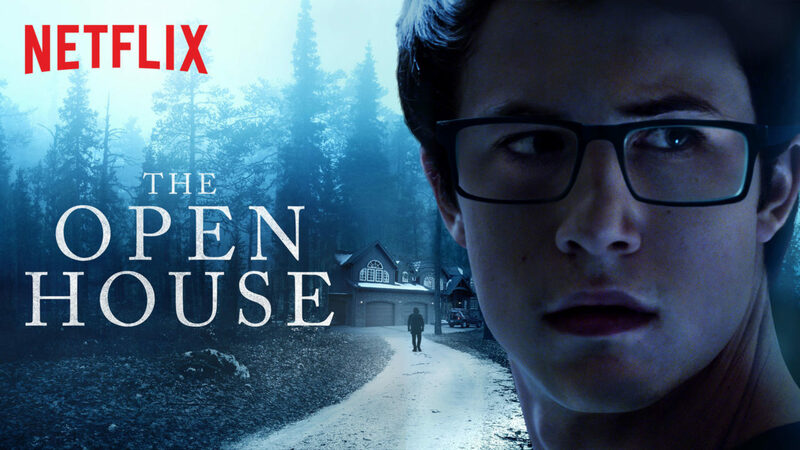 P.s I thought that all of the acting in the film was fabulous, but in particular Dylan Minnette in particular was outstanding.